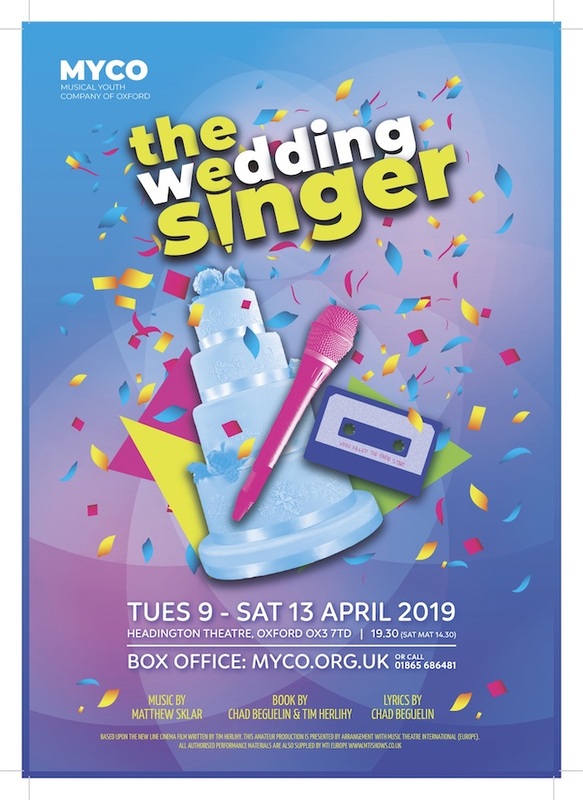 Members are currently working very hard on MYCO’s next production The Wedding Singer, which will be performed at Headington Theatre, Oxford, from 9th to 13th April. Tickets are now available from the online box office with prices from £15 to £22, with some concessions for those in full-time education. There is also a group discount available for groups of eight or more full price tickets (not Saturday evening) if booked by the end of March. So, don’t delay! Get in early and make sure you have the best seats in the house. It is going to be another excellent production and one not to be missed!